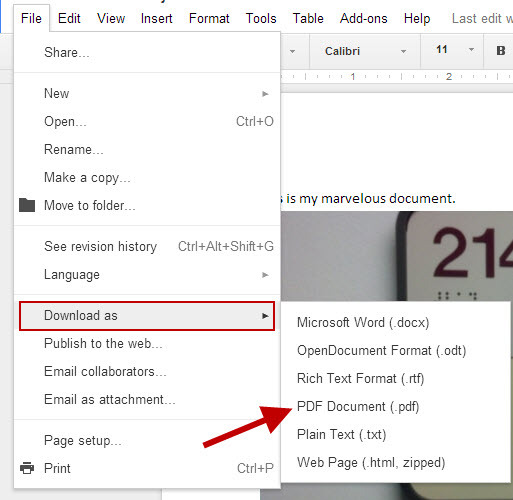 Open the document you want to download as PDF on your Google Drive. Choose PDF Document (.pdf) from the submenu (marked with the red arrow in the image above). Choose a name for the document, and save it to a location on your hard drive. That’s all there is to it. 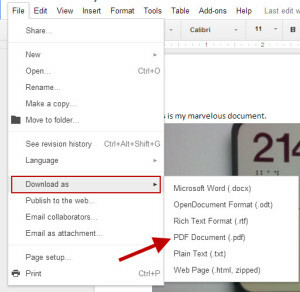 You now have a PDF version of your Google Doc. Do open the PDF to make sure that it has converted properly. If you find that the layout changes, you might try downloading as a Word document and then creating a PDF with Microsoft Word.